There’s an old proverb that disparages teachers. It goes like this: “Those who can, do; those who can’t teach.” It means that people who are able to do something well can do that thing for a living, while people who are not able to do anything that well make a living by teaching. I’ve worked in both worlds—the private sector and the public, and I can assure you that old proverb is wrong and anyone who disagrees with me, well, those will be fighting words. I started at fifteen washing dishes in a coffee shop nights and weekends thirty hours a week for three years while I went to school days until the day the mean boss told three of us that we had to stay later than usual and do someone else’s job who didn’t show up for work, and he wasn’t going to pay us. All three of us quit. If I had done as told, I probably could’ve stayed working in restaurant jobs for the rest of my life. In that job, when I clocked out, I never took work home. A few weeks later, I joined the U.S. Marines and went to boot camp after graduating from high school. I fought in Vietnam where snipers came close to taking me out more than once, and I decided I didn’t want to make a career out of the Marines. I could have. After all, I survived three years and earned an honorable discharge. I did bring PTSD home and still have it. My third act was going to college on the GI Bill, and while in college, I worked a series of part-time jobs and I didn’t consider any of them jobs I’d want to work for a lifetime. For instance, I worked on a crew that cleaned a new Sears store before it opened. In the morning, I clocked in and worked my eight hours and then clocked out. There was no stress, no challenges, and I didn’t take any work home. In my next job, I walked door to door sixteen hours a day, seven days a week as a Fuller Brush Man where I was told three months later—after more than a thousand hours of work—that I had sold more product than anyone else in the region. I quit, because all I earned for all the door to door walking and sore feet was four hundred dollars—that wasn’t enough for even one month’s rent. Next job, I bagged groceries in a super market for two years, and I never took any work home. It was an easy job and the people I worked for were good people. The manager of the store was also a nice guy. After the market job, I stocked shelves and dressed manikins for window displays at a J.C. Penny, and I never took any work home. The store manager was also okay as a boss. Then I worked one summer near Fresno at a Gallo Winery in a seasonal job during the grape crushing season and before summer ended I was offered a full-time job that came with health benefits and decent pay, but I turned it down, because I wanted to finish college. I also never took any work home while I worked for Gallo. When I clocked out, the work ended. After graduating from college with a BA in journalism, I landed a job in middle management in a large trucking company. After several years of repetitive paperwork and long hours sitting at a desk in a glass walled office, I quit and went back to college to earn a teaching credential. While working that job, I never took any work home, and my boss was a decent guy to work for. He was fair and kind. From there, in 1975, I returned to college and earned a teaching credential. In the early 1980s, while teaching days at a tough intermediate school, I worked for a few years at night and on weekends for a fancy nightclub/restaurant called the Red Onion in West Covina, California. At the time, there were several Red Onions in Southern California. The one where I worked had three dining rooms—one with a glass ceiling and a few full-sized palm trees—on one side of the lobby. On the other side was a three-bar nightclub that held a thousand drinkers and dancers. After a few months, I was promoted to the maître d position and put in charge of the front desk. Then the owner of the chain, who drove a white Rolls Royce, offered me a job in management, but I said no and stayed in the classroom as a teacher. The only thing I took home from that job was a few women I met at the night club and dated, and I have no complaints about that. All the managers I worked for were all decent, kind, hard working men. When I compare all of the jobs I worked in my life, the toughest and most challenging job was teaching where I often worked sixty to one hundred hours a week. Twenty-five to thirty hours a week was teaching and the rest of the sixty to one hundred hours was planning lessons, making phone calls to parents, paperwork (grades, etc. ), and correcting student work. In fact, I took work home during the school year almost every night and weekend often working until I was too tired to keep going. I know the public schools are not broken. The crises in public education has been manufactured by a bunch of unscrupulous fake education reformers who are mostly interested in how much money they can steal from tax payers with the approval of the Obama White House. 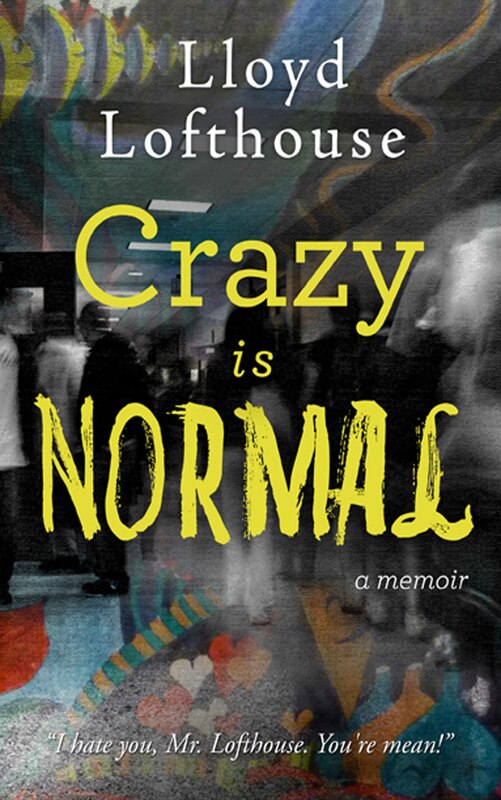 To find out what it’s like to be a public school teacher in the United States, I suggest that you read my memoir, Crazy is Normal, a classroom exposé. You see, I kept a daily journal in 1994-95 for one of the thirty years I was a teacher and captured that job in detail. The other option is to actually go teach in a school similar to the one where I taught.